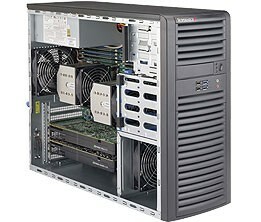 The Supermicro 7038A-I is a high-end workstation comprised of two main subsystems: the SC732D4-903B tower/4U chassis and the X10DAi dual Intel® Xeon® processor serverboard. 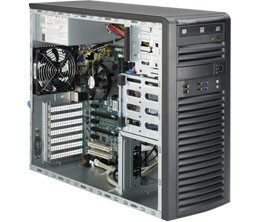 The Supermicro 5037A-T SuperWorkstation is a high-end system based on the SC732D2-500B mid-tower chassis and the C7P67 serverboard. 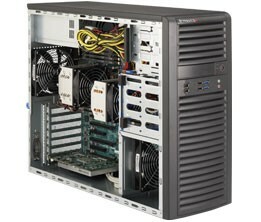 The Supermicro 5037A-i is a mainstream workstation that includes an Intel Xeon processor, up to 256GB of ECC registered memory, and up to two NVIDIA Quadro graphics cards. 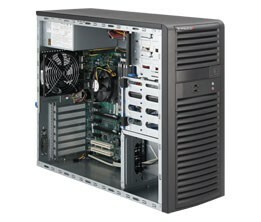 The Supermicro 7047A-T is designed for optimal performance, the dual-processor Xeon® E5-2600 or E5-2600 v2 Family Superserver in a Tower form-factor and it has excellent expansion capability and feature set. 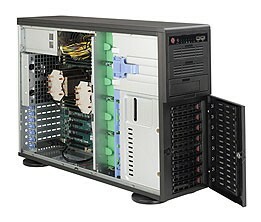 The Supermicro 7047GR-TRF is a 4U Rack Workstation with Redundant power supply, 8x 3.5" Hot-Swap Bays, and support for 4 NVIDIA Tesla or Intel Phi GPU cards. 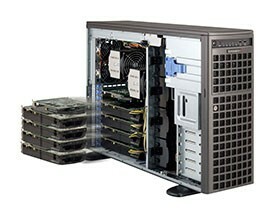 The Supermicro 7047AX-TRF is designed for optimal performance, the dual-processor Xeon® E5-2600 or E5-2600 v2 Family Superserver in a Tower form-factor. It has excellent expansion capability and feature set. The Supermicro 7048A-T is designed for optimal performance, the dual-processor Xeon® E5-2600 or E5-2600 v2 Family Superserver in a Tower form-factor. It has excellent expansion capability and feature set. 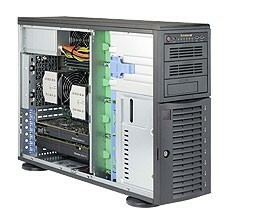 The Supermicro 7037A-i SuperWorkstation is a Dual Intel Xeon E5-2600 v2 Series 4U Rack or Tower Workstation with 4x High-Capacity 3.5" SATA Bays. 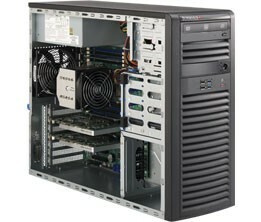 The Supermicro 5038A-I SuperWorkstation is a high-end system based on the SC732D3-903B mid-tower chassis and the X10SRA motherboard. 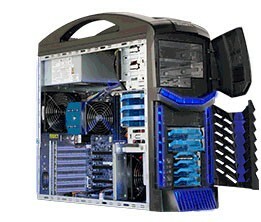 The Supermicro 5038AD-T SuperServer is a mid-tower Gaming system with Supermicro C7Z87-OCE motherboard, and 900W Multi-output power supply. 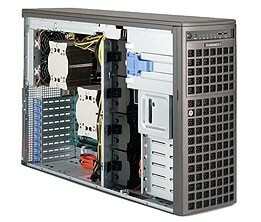 The Supermicro 5038A-iL SuperWorkstation is a high-end system based on the SC732D4F-500B tower chassis and the X10SAE serverboard.